Atletico Madrid boss Diego Simeone has reportedly given the green signal from his end to superstar Antoine Griezmann if he wishes to make a move away from the La Liga giants. Griezmann was heavily linked with the likes of Man United and Barcelona this summer, and he almost completed his switch to Old Trafford before Atleti’s appeal against their transfer ban was rejected. The Frenchman thus decided to stay put at Wanda Metropolitano for another season, until the ban got lifted. And with the January transfer window right around the corner, Atleti would once again be eligible to go forward with their transfer business, but it would also mean that Griezmann’s time with them could soon come to an end. Furthermore, Simeone has made it clear that he won’t ‘stand in the way’ if the 26-year-old does decide to leave Los Rojiblancos. 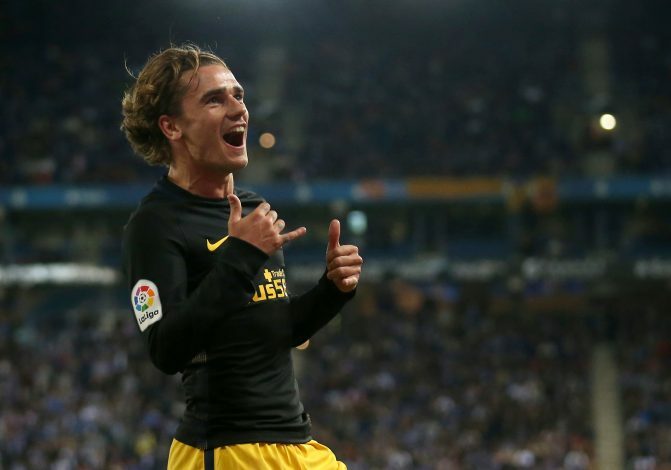 As per the report from L’Equipe (via Metro News), the Atletico boss has clearly stated that “all Antoine Griezmann has to do to secure a move away from Atletico Madrid is ask”. Simeone stated: “If a player comes to me and says: “Coach, I have a once in a lifetime chance to play for a certain team, I want to leave,” and if he did all he could for me as Griezmann does, I’ll say it’s no problem. The highly rated forward has so far been directly involved in 12 goals for the Spanish club in all competitions, scoring 7 himself and providing an assist for the other 5.